I thought I would post a couple of recent layouts while I am trying to kill some time and the little one is napping :). The first is my daughter. It was done for a challenge over at Digital Scrap Girls. What a great site! 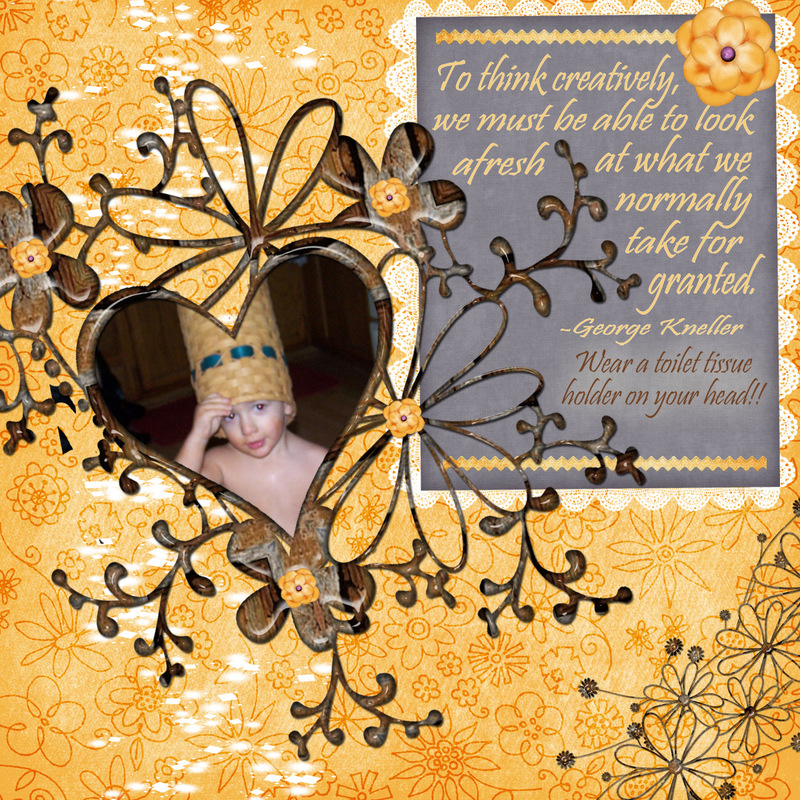 The kit I used for this layout was designed by Shabby Princess and it’s called Harvest Spice. The second is my baby. It was also done for at challenge over at Digital Scrap Girls. The kit I used for this layout was designed by Nayyan and it is called Monja. Beautiful kit and so versitile. Anyway, I am in the process of getting ready to go out to dinner. Hubby is taking me for Japanese!! Yum Yum!! Previous PostPrevious Here I am!